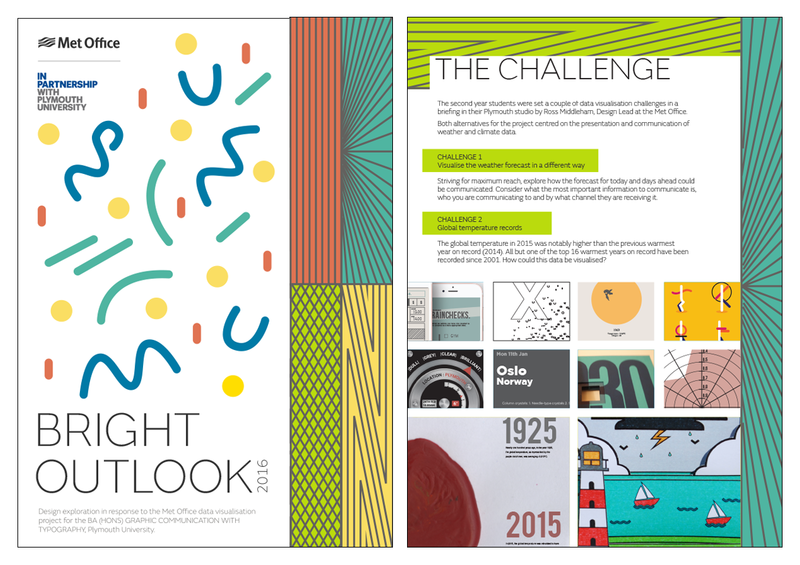 Following the success of Design Storm last year we’ve been continuing to build links with Universities and Colleges. 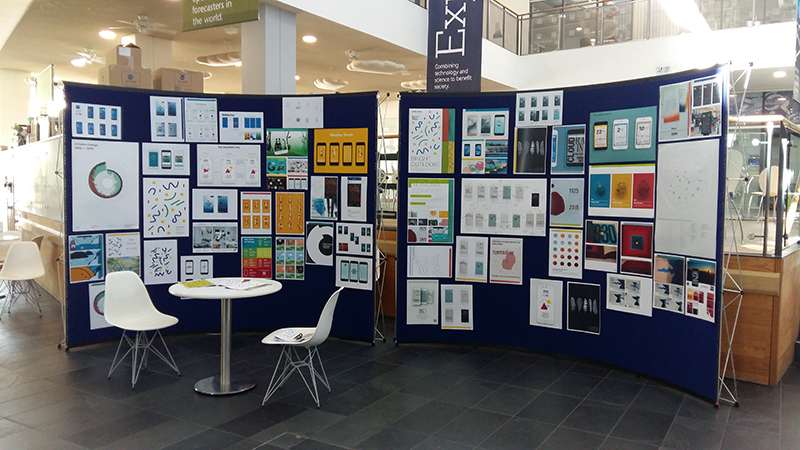 We’ve helped to mentor and inspire students, sharing our knowledge and showcasing exciting projects from across the office, as well as helping to inspire staff by showcasing the students creativity. We’ve led talks at the V&A as part of Digital Design Weekend, hosted sessions at MozFest, been involved in portfolio feedback sessions and given talks at Universities. We recently set a data visualisation module for the BA (Hons) Graphic Communication with Typography course at Plymouth University. In a briefing session at their Plymouth studio we set a couple of challenges based on the presentation and communication of weather and climate data. Striving for maximum reach, explore how the forecast for today and days ahead could be communicated. Consider what the most important information to communicate is, who you are communicating to and by what channel they are receiving it. The global temperature in 2015 was notably higher than the previous warmest year on record (2014). All but one of the top 16 warmest years on record have been recorded since 2001. How could this data be visualised? We’re displaying the students work at the Met Office during the start of June and will be collating some of the responses into a pinterest board, to be released soon. Over the next few months we are helping Ravensbourne University on a brief for their Graphic Design course, which will be showcased as part of MozFest this year. We are also excited to be running Design Storm 2016 as part of the D&AD New Blood Festival, which brings together Universities from around the UK.